Do battle with the evil in the galaxy! Galactic Heroes Featured Figures include an articulated figure with cool accessory. 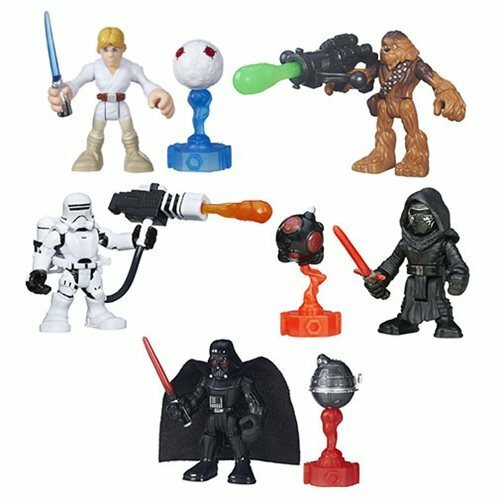 These small-scale Star Wars figures are for kids of all ages! Compatible with other Playskool Heroes figures. Packed with cool features and a figure, each individually packaged figure set includes a 2-inch articulated figure and a swell accessory. Each Galactic Heroes figure has jointed wrists, legs, shoulders, and neck and some even have cool weapons embedded right in their hands. Ages 3-7.